Welcome to part three of our countdown, and it's a very defense-heavy edition today, with only two players from the offensive side of the ball. Players #80-71 sees a mixture of greybearded veterans players and up-and-comers, and features some players with major question-marks hanging over their heads as they enter the 2012 season, from those returning from injury to those having to adapt to brand new schemes and formations. As always, leave your thoughts in the comments below, tell us on Facebook and tweet us @PullingLinemen, telling us why we're wrong, we'll respond to the best comments/arguments/insults in a 'TPL100' mailbag at the end of the countdown. 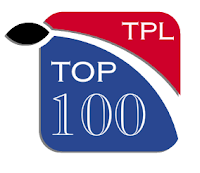 * Due to a clerical error by Mr. G. Samuel during the compilation of this list, our #79 player Eric Weddle was originally left off the Top 100. this was discovered just prior to today's publication thanks to the diligent work of one T. Durant. We felt it would be unfair to retroactively remove Vonta Leach (#100) and so we'll call him a bonus player, and you'll get 11 players today, instead of the normal 10. Gur is extremely sorry for his error and begs forgiveness from our dozens of readers. 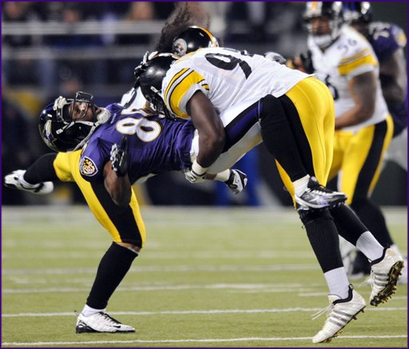 In 2009, Dumervil had a phenomenal season, leading the league with 17.0 sacks as an outside linebacker. After sitting out the 2010 season with a torn pectoral muscle, Dumervil returned to defensive end last year as Denver reverted back to a 4-3 defense. His sack total last year did not match the highs of his '09 campaign - missing out on double digits by a half-sack - but a year further removed from his injury, and having had a season to settle back in at end, Dumervil should see a better season in 2012 regardless of who's at the helm of the other side of the ball. If, however, Manning can prove to be the Peyton of old, forcing the other team to play catch-up early on, you can expect Dummervil to take full advantage of that ability to be in constant pass-rush mode, much like Dwight Freeney did for the last decade. It is perhaps understandable that Jason Babin is not ranked higher on this list - drafted in the first round in 2004, Babin started only 26 games in the first six years of his career, and racking up just 17.5 sacks through 66 games; he's also 32, so many may begin to wonder whether how much longer he can contribute at a high level. On the other hand, over the past two seasons, he has unquestionably been contributing at a very high level, totaling 30.5 sacks since 2010, and out of the left defensive end position, too - traditionally the position of a run-stuffer more than a pass-rusher. Things are falling into place for Babin to have an even better 2012 campaign, with the top DT from this years draft, Fletcher Cox, joining the rotation in the middle of the line potentially opening things up even more for Babin, while the addition of DeMeco Ryans to the Iggles' linebacking corp should significantly improve the team's running defense, meaning Babin should see plenty of opportunities to match, or even surpass, his sack total of 18.0 from 2011. A 2nd round pick in 2007, Eric Weddle was immediately in the immense shadow cast on AFC safeties by Troy Polamalu and Ed Reed. However, as he's grown up in the league, so the others have grown old. Weddle is now perhaps the premiere safety in the AFC, making the 2nd team All-Pro in 2010 before "graduating" to the 1st team in 2011. Weddle's 2011 season began with the Chargers making him, at 26, the highest paid safety in the league. He paid immediate dividends for them with a career high 7 interceptions and 12 passes defensed, becoming easily the best playmaker on the Chargers defense. Now nearing his 27th birthday, and signed up for the next 4 seasons, the Chargers and their fans can look forward to even more stellar play from Weddle as he looks to cement himself among the very best at his position. Speaking of DeMeco Ryans, many people were surprised when the Texans traded such as highly-regarded linebacker to the Eagles. In large part, Houston felt comfortable pulling the trigger on the trade because of the fantastic level of play of Brian Cushing. Originally entering the league as an outside linebacker, Cushing moved inside with the arrival of defensive co-ordinator Wade Davis and the transition to a 3-4 defense. He responded to this position change with a dominant season, leading the massively improved Texans D in tackles, while racking up 4.0 sacks, two interceptions, six pass deflections, and a pair of forced fumbles. His teammates voted him 'Team MVP', the Associate Press voted him to the All-Pro second team, and with Ryans and Mario Williams gone, the coaches have clearly put their faith in Cushing to be the defensive leader of a team with a very, very good chance to represent the AFC in Louisiana come February 2013. 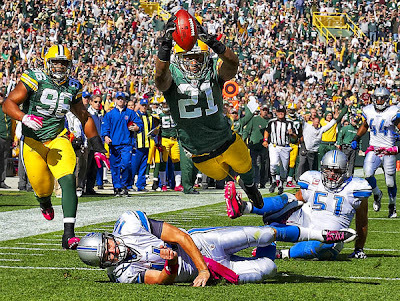 Charles Woodson may be 35, but he has shown no signs whatsoever of slowing down. At his age, many corners find they have been reduced to role-players only, or transition to safety, to compensate for the drop-off in speed and skill that comes with age. Not Woodson. Instead, he's coming off a season where he tied for the lead league in interceptions, adding a pair of sacks and a forced fumble, while his 75 tackles (solo & assists) speak to his willingness to get involved in run defense - something many corners of any age shy away from, let alone a greybeard like Woodson. How long can he keep up this level of play? Logic dictates that his play should have dropped off years ago; but Woodson seems intent on cheating Father Time for years yet, and as long as he does, you can expect him to be a the forefront of the Packers' D.
That's not a typo: forget the Dwight Freeney you knew - with the Colts shifting to a 3-4 defense, Freeney is no longer a defensive end, but officially listed by the Colts as an outside linebacker. Playing with his hand in the dirt for all his career, there have been few, if any, better than him since he entered the league in 2002 and put up a ridiculously impressive 13.0 sacks as a rookie, despite only starting half of the Colts' games that year. Since then, Freeney has only three times missed out on racking up double-digit sacks, with one of those coming during an injury-shortened 2007 campaign. Freeney is almost guaranteed to end up in Canton when he hangs up his cleats, so why is he not ranked higher? One factor is that Freeney's effectiveness is greatly reliant on his speed, which, at the age of 32, you have to wonder is still what is once was; but without doubt, one of the biggest factors is the fact that, for the first time in his professional career, Freeney is having to learn a brand new position. Will he still be as effective in his new position? Will his age mean he's too set in his way to successfully transition? 2011 was the first season since 2007 where Freeney missed out on double-digit sacks - is he past his prime? These questions hang over Freeney's head as he prepares for his eleventh season; but despite the doubts, his sheer ability is still respected enough to see him rank in our Top 100. The first offensive player to be revealed in today's countdown is another player with questions hanging over his head as he enters his fourth season. Being named to both a Pro Bowler and an All-Pro in 2010, there were huge expectations around Charles last season. Unfortunately for him, his season ended two weeks after it began with an ACL injury. ACL injuries are bad news for all players, but arguably affects running backs more than any other position. 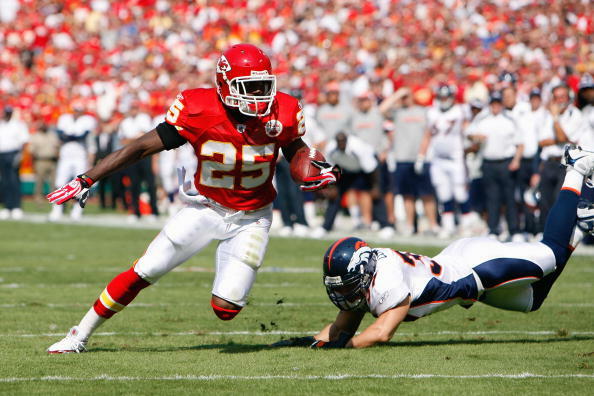 Certainly, the Chiefs will try and help his return to the game by splitting the load between him and free agency-acquisition Peyton Hillis, and no doubt all-round offensive weapon Dexter McCluster will see some time at running back too; but if the Chiefs hope to return to the playoffs for the second time in three years, Charles will have to prove that he can get back to pre-injury form. The good news for Charles is that, if he does return to full strength, he will have the benefit of an offensive line that was much-solidified by the addition of RT Eric Winston, and with no-one knowing how effective Peyton Manning will be, Norv Turner and his inability to get his team motivated through the first half of the season returning to San Diego, and the Raiders being, well, the Raiders, Charles - and the Chiefs - will have every opportunity to fight for the division crown. When the Steelers lost their season opener to the Baltimore Ravens 35-7, Warren Sapp described the Pittsburgh D in five words: "old, slow, and it's over". After losing in the first round of the playoffs to the punt protector-led Broncos, the Steeler organisation appeared to agree, jettisoning many of their established players on both sides of the ball, including Bryant McFadden, Aaron Smith and James Farrior, who is reportedly mooting retirement. If the Steelers want to remain one of the league's top teams, then Lawrence Timmons will be one of the pieces they build around, hoping he will be the leader on defense for years to come. Only 26, Timmons has been a starter in Pittsburgh for the last three seasons, and while his stats were down from his 2010 campaign in all categories, he is very much a key cog in the Steelers' D, and with Farrior now gone, the center of the field is now Timmons' to dominate. While his stats aren't particularly eye-popping, putting on the tape reveals what the statsheet doesn't - a player who rarely makes mistakes, is solid in all aspects of the game, and by all accounts appears to be ready to step into a true leadership role in 2012. One of the more polarising selections between the three of us, Geno Atkins is the highest-ranked player on the list to who have only been nominated by one of us. Indeed, there may well be many of you reading this who are scratching your head at this selection. So why did Atkins make the list? He may be more under-the-radar than a lot of other players to make our Top 100, and many who failed to make our list, but Atkins really does has the potential to be one of the elite three-technique defensive tackles in the league. His personal accolades, for a sophomore player, are impressive enough - tying Tommy Kelly in leading all defensive tackles in sacks with 7.5, making the Pro Bowl as an alternate, and being voted to the All-Pro second team. But looking at the bigger picture, you can truly see the impact he has had as the 3-tech - the position that is often truly the 'engine' of a 4-3 D. In 2010, the Bengals' defense barely finished in the top half of the league in total yardage and passing yardage allowed - and more tellingly, they finished nineteenth in rushing yardage allowed, and a paltry 24th in points allowed. 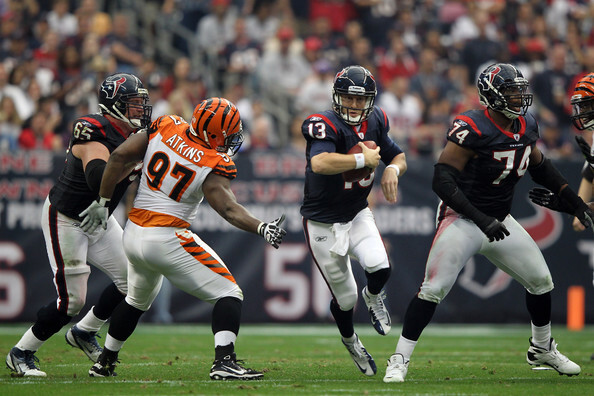 In 2011, with Geno Atkins taking over as the starting 3-tech and being a disruptive force against the run as well as continuing the high level of pass-rushing ability he flashed as a rookie, the Cincinnati D finished in the top 10 in the league in all four of these categories. You might not be so familiar with him now, but if he continues his development, don't be surprised if by the end of the 2012 season, Atkins is being widely heralded from all corners as one of the top young defensive linemen in the league. The Bills have very high hopes entering the 2012 season, and for good reason: they began 2011 hot, kicking off the season with a 5-2 record, including a win over major division rivals the Patriots. They signed the best defensive player on the market, Mario Williams, in free agency, and are getting back explosive running back Fred Jackson. If the Bills are to make the next step, then they will be looking to 'Stevie' Johnson to be the #1 aerial weapon for Ryan Fitzpatrick. Just entering his prime at 26, the Buffalo wideout has caught seventeen touchdown passes over the past two seasons, topping 1000 receiving yards in both years. Johnson is did suffer a groinpull early in the offseason, which has led to the Bills reportedly holding him out of all offseason training until training camp itself open up in July; but Johnson should still be in shape to have another solid year, especially if Fred Jackson has similar success in the running game, pulling more people into the box and away from the receiver. If the defensive side of the ball can keep games close, too, it will allow the Buffalo offense to open up more, and Stevie Johnson is in perfect position to take advantage, and will look in 2012 to elevate his game from "good" to "great". We round up today's part of the countdown with another defensive player in transition. While he's still listed on the Dolphins' website as a linebacker, it has been reported that Miami will be switching to a 4-3 defense, leading Wake to be listed as a defensive end in several places. Whether he plays the 2012 season in a 2-point or 4-point stance, he will be looking to build on an impressive resume since he became a starter in 2010, collecting 22.5 sacks in the past two years. If the Fins want to avoid ending up in the cellar of the AFC East for the second season in a row, they will have to step up and put pressure on opposing offenses to keep games close, or else the team as a whole may struggle, now that they're without a true #1 receiver. 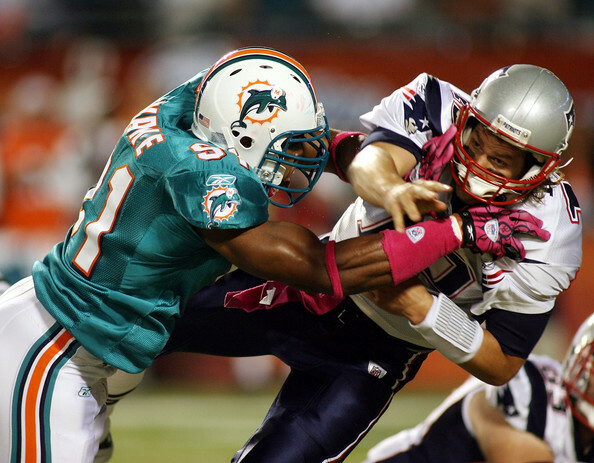 The only way that will happen is if Cameron Wake, from whichever position, is able to continue piling on the sacks. Miami clearly have faith in him, giving him a 4-year extension just shy of $50 million earlier this month - if he lives up to his contract, then 2012 could be a huge year for Wake.